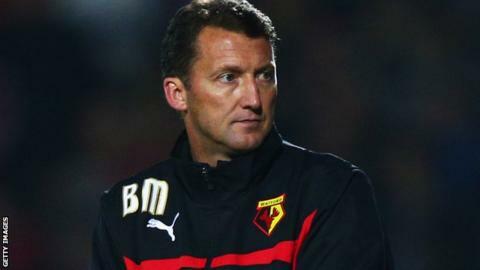 Former Watford boss Billy McKinlay has been named David Moyes's assistant at Real Sociedad. McKinlay, 45, lasted just eight days as Hornets manager after being appointed in September, to be replaced by ex-Chelsea midfielder Slavisa Jokanovic. The former Scotland international was also Northern Ireland assistant manager from 2012 to 2014. Moyes's first game as Real Sociedad boss ended in a 0-0 draw against Deportivo last weekend. The former Manchester United boss, who was appointed on 10 November, takes charge of his first home game against Elche on Friday. Moyes's staff also consists of coach Asier Santana, strength coach Karla Larburu and goalkeeping coach Roberto.